The Damon Harrison I Told The Storm Foundation hosts an annual holiday drive that alternates each year between Thanksgiving Turkey Drive and a Christmas Toy Drive. 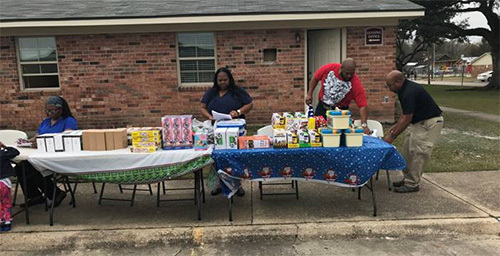 The foundation chose these two opportunities to focus on the various needs of Damon Harrison’s hometown community of New Iberia, Louisiana and to make the most impact on at least one holiday a year. We alternate events each year, focusing on one holiday event at a time. In 2017 we ran our Thanksgiving Turkey Drive, so 2018 we will put together our Christmas Toy Drive. 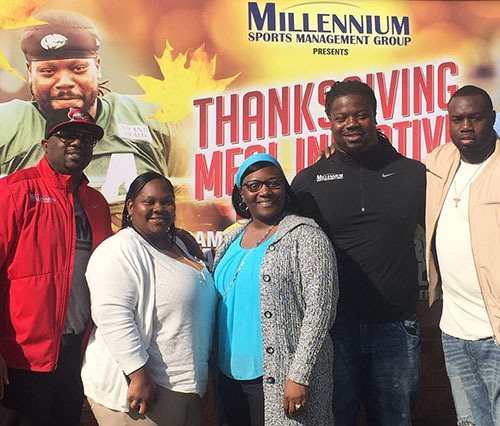 During the Thanksgiving Turkey Drive, The Damon Harrison I Told The Storm Foundation visits Saint Edwards housing projects to provide local low-income families with more than just a turkey, but also an opportunity to focus on being around family and enjoying the holiday. Our Christmas Toy Drive focuses on spreading fun and cheer to the school aged children in the community that Damon Harrison grew up in. Every other year when this event takes place, The Damon Harrison I Told The Storm Foundation purchases toys to be distributed to around 150 kids from 6 different schools. In 2016, three lucky kids were selected to choose between a Playstation or a $150 gift card. Our family weekend is an annual weekend event that brings the community members together to engage in a sports tournament, a motivational speaker, and of course food. We want to provide the community with a safe weekend and an environment to interact with local officials, their fellow community members, and celebrities. This program is a once a year event centered around our back to school drive. During the drive, the students will engage in a variety of age-appropriate activities that focus on building the positive self-image, decision making, and relationship building. 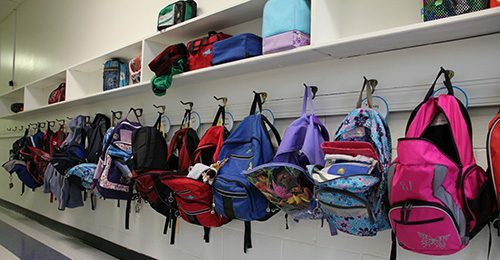 We will also be providing the students with a book bag filled with school supplies that they will need for the upcoming school year.